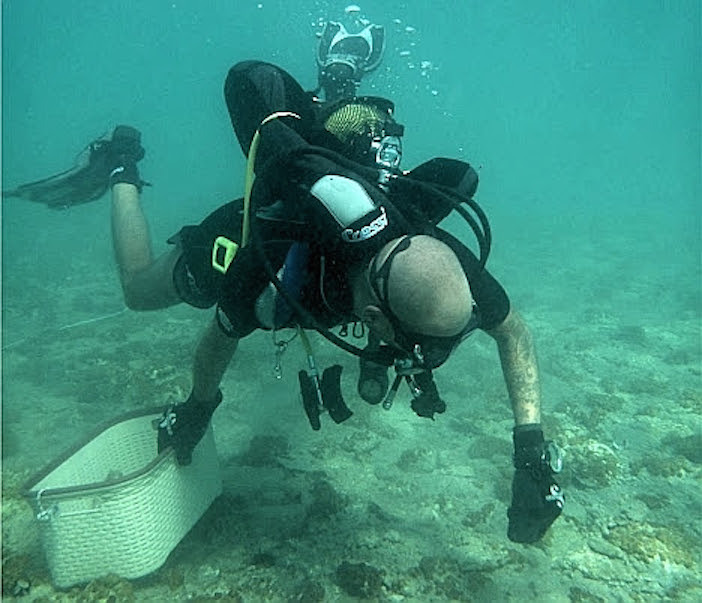 Underwater archaeologists from the University of Geneva in Switzerland were conducting dive-training exercises off Lambayanna Beach when they spotted some intriguing pottery fragments close to the shore. A closer look revealed architectural elements and an entire city. This past July the archaeologists returned to the site to conduct a full search. 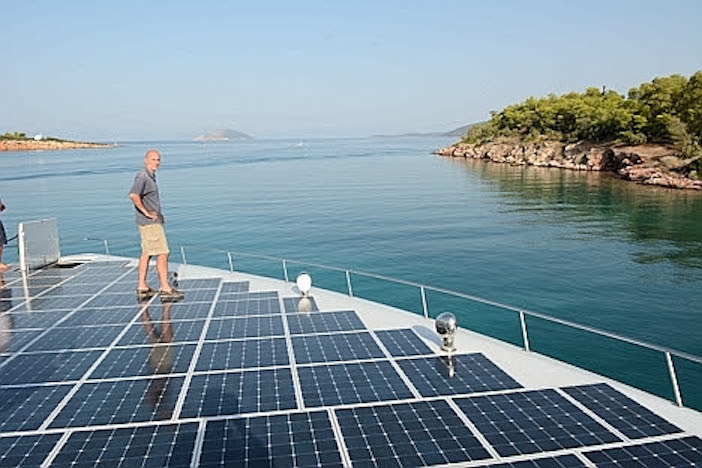 The project was undertaken by the Swiss School of Archaeology in Greece in collaboration with the Greek Ministry of Culture, using the world’s largest solar-powered boat, the PlanetSolar, to aid in their search. The findings reveal numerous buildings which stretch over 12 acres, or the equivalent of around 10 football fields. 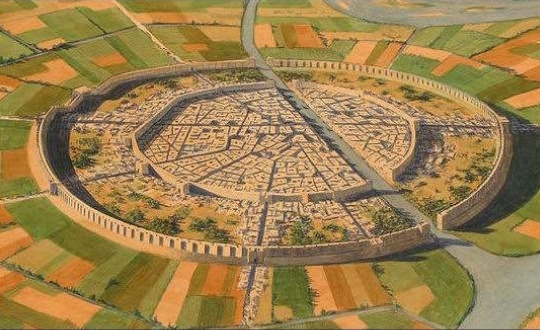 The buildings appear to be oval or circular in shape, and built in the same style as those known to have been constructed by other Bronze Age civilizations in Greece. More surprisingly, the ruins contain at least three horseshoe-shaped foundations attached to the wall line, which are believed to be the remnants of massive defensive towers of a type unknown elsewhere in Greece, according to Julien Beck, head of the team, according to Spero News. 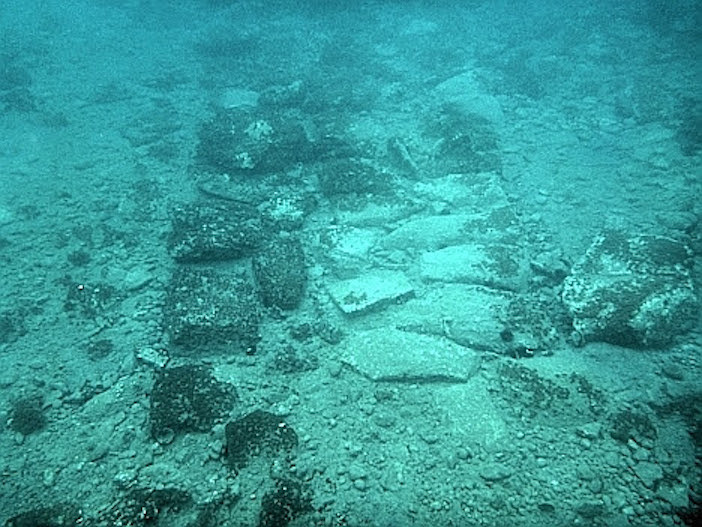 In addition to these structures, the archaeologists found paved surfaces that appear to be streets, as well as a wide array of pottery and stone tools. These include obsidian blades that the researchers say date to the Helladic period (3200 to 2050 B.C. ), which archaeologists have divided into three phases. Beck and his colleagues do not venture a guess as to why the city sank below the ocean’s surface thousands of years ago, though rising sea levels and shifting tectonic plates have been suggested as possibilities, according to History.com. They also are not making any claims that the submerged city is Atlantis, the mythical island nation Western philosophers and historians have been searching for over the last 2,400 years. According to the great Greek philosopher Plato, that advanced, powerful early civilization suddenly disappeared into the ocean around 9600 B.C. Since the late 19th century, historians have renewed their efforts to link Atlantis to actual historical locations, notably including Santorini, which was destroyed by a volcanic eruption circa 1600 B.C.